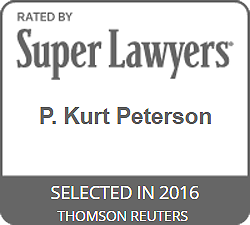 Kurt Peterson specializes in litigation and trials involving real estate and business disputes, regularly representing the firm’s clients in lawsuits involving business and real property holdings, transactions, and investments. He has a distinguished record, having successfully tried numerous cases to verdict and judgment in California state and U.S. federal courts. Mr. Peterson enjoys a leading reputation for professionalism and has consistently achieved winning results for his clients. He also has served as an advocate in real estate and business disputes within a variety of Alternative Dispute Resolution forums, including International Chamber of Commerce arbitration. 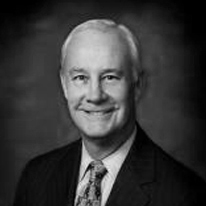 Mr. Peterson is a former faculty member of the National Institute of Trial Advocacy and a past Chairperson of the Real Estate Section of the Bar Association of San Francisco. He regularly appears as a lecturer and speaker in real estate industry forums and programs throughout California, and is the author of articles on a variety of litigation topics. Mr. Peterson is an active member of the California State Bar, the American Bar Association, the Bar Association of San Francisco, the Association of Business Trial Lawyers, and the California Association of Realtors Strategic Defense Panel. Mr. Peterson is a graduate of the University of California, Berkeley, and received his Juris Doctor degree from the King Hall School of Law, University of California, Davis.